The urge to undo the damage humans have heaped on many waterways has spurred a billion-dollar stream restoration industry with a mixed track record. Water quality across the United States has improved over the past half-century. But as a recent case study of an urban stream in North Carolina shows, restoration projects often fail to achieve water quality goals when they’re driven by good intentions but not good data. Early stream restoration efforts were based on assumptions about what would make a stream better, said Kristan Cockerill, a water policy analyst and assistant professor in Appalachian State University’s Department Cultural, Gender and Global Studies. Project plans rarely called for monitoring before or after construction to identify issues or determine whether the restoration resolved them. 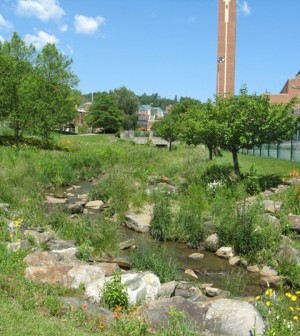 A heavily urbanized stream that runs through the Appalachian State campus with a recent history of restoration efforts and water quality monitoring gave Cockerill and colleague William Anderson, professor in the Appalachian State Department of Geology, a chance to study these issues in their own backyard. 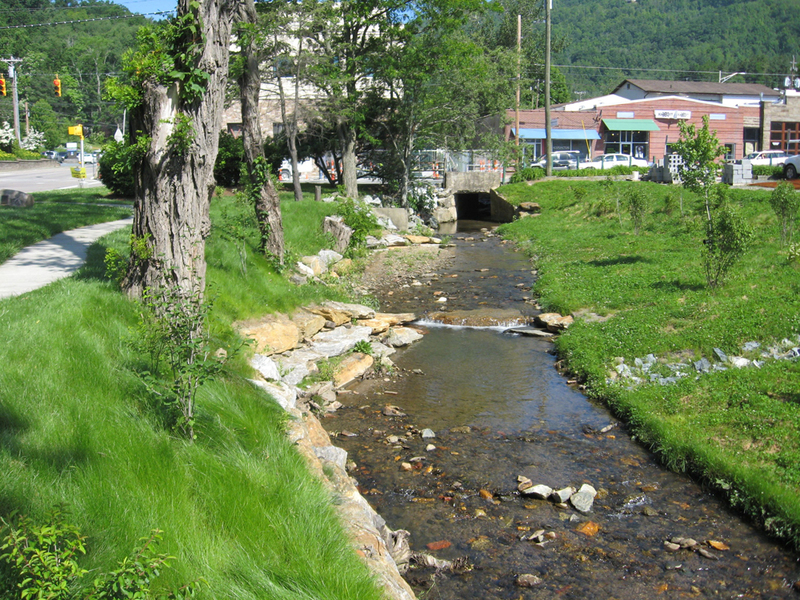 The stream, Boone Creek, is classified as a trout stream in North Carolina, though none swim in the 1.8-mile section analyzed in a study authored by Cockerill and Anderson and published in the Journal of the American Water Resources Association. Surrounded by buildings and parking lots, the stream receives outfall from dozens of bank-side pipes and flows through several culverts, including one 700 meters long. In 2006, Anderson and other Appalachian State scientists installed three monitoring stations on the creek where multi-parameter probes record water levels, temperature, electrical conductivity, pH, turbidity and dissolved oxygen. A year later, they added water temperature sensors at another 10 sites. Monitoring data have shown that the stream’s biggest problems include temperatures that regularly rise above what’s expected for a trout stream and electrical conductivity driven up by salt use for deicing roads and sidewalks. Since the monitoring began, three restoration projects have been completed along the same stretch of stream. “This great dataset let us then go back and look at the history of these projects and say: Was the data used? Was it not used? What has been the result?” Cockerill said. The results aren’t encouraging. Despite monitoring data that showed temperature to be one of the most significant water quality issues, temperatures have actually increased on some segments since restoration. In one case, trees that provided cooling shade were cut down because they were non-native and aging. When projects called for revegetating the banks, they often turned to short species that don’t shade the creek. Each project included armoring or reshaping eroding banks, which was associated with a water quality goal of reducing sediment. Yet nothing in the pre-restoration data suggested that sediment was actually a problem in the stream. The bank reinforcements went in where the stream was beginning to cut under a road or a parking lot, so while the nominal goal was to protect water quality, the effective goal was to protect those urban structures. There isn’t necessarily anything wrong with modifying a stream to prevent a parking lot from collapsing. But there is a problem with characterizing those modifications as an attempt to improve water quality when they do nothing to improve the ecological condition of the stream. Part of the solution, Cockerill said, is for restoration planners to be honest about what’s happening and what’s likely to happen with a restoration project, and to be pragmatic about the limitations of small-scale, site-specific urban stream restorations. Those projects aren’t going to return a stream to some idyllic past condition that existed before significant portions of their watersheds were developed. 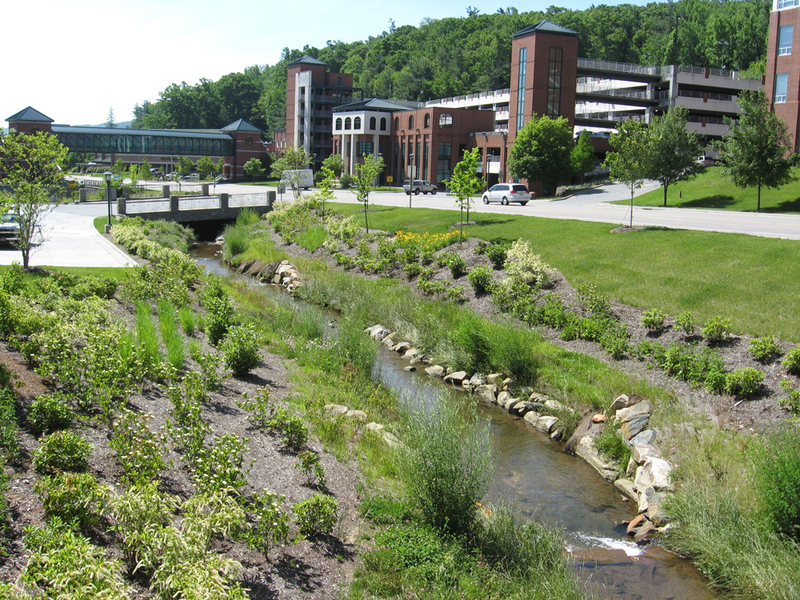 Instead, managers can turn to large-scale planning measures that address both water quality and the stress a stream can place on urban infrastructure.